A gift voucher from the Four Seasons makes a great gift. 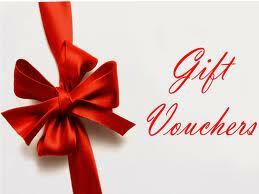 Vouchers come in any price you choose and can be spent throughout our shop. These are just some of the many products a voucher can be spent on at The Four Seasons. If you would like a voucher for a different amount, please contact us directly.